From a young age we learn that cities build roads, fill potholes, pick up garbage, provide clean tap water and plow snow in the winter—but rarely do we give much thought as to how this all gets done or what role we can play in these systems. When we do think about these systems or processes, it’s often in a detached way, perhaps for a poli-sci paper, or as it relates to a situation at-hand (“Why didn’t my garbage get picked up?!). Moving from theory to action can feel like a challenge, but it really doesn’t have to be. Although it may take a bit more effort, participating in the shaping of a city isn’t just for politicians and it can actually be a lot of fun. The City of Vancouver provides many opportunities for community members to get involved in city-building. We think it’s especially important for students embarking on a project with CityStudio to spend some time engaging with the City of Vancouver’s policies, practices and processes. This is the best way for you to gain a deeper understanding of the context and environment in which you’ll be working. Below are 8 ways to engage with the City of Vancouver, listed from easiest to most involved. Faculty members – we encourage you to share this list with your students or incorporate parts of it into your course! 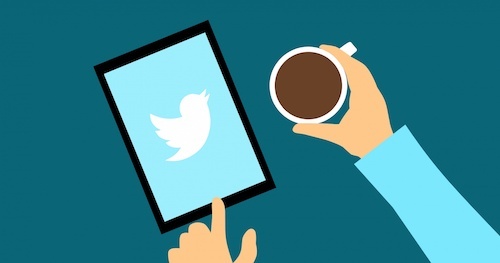 It may sound simple, but it’s a great way to keep a finger on the pulse of what’s happening in the city. Here’s a list of all City-related accounts and City Councillors. 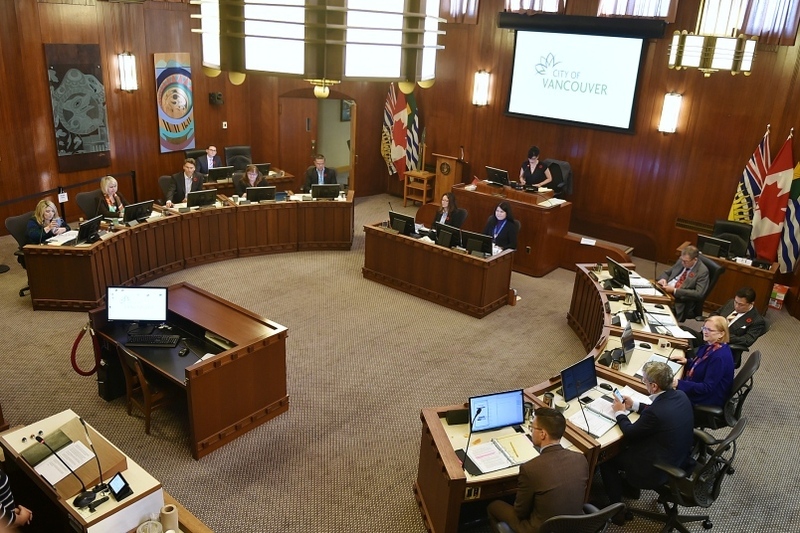 The City of Vancouver often holds public hearings, consultations and open houses related to a variety of issues, all of which are listed on the online events calendar. Learn more about a new City initiative or strategy, attend the next Park Board meeting or check out a fun event happening at one of the local community centres. 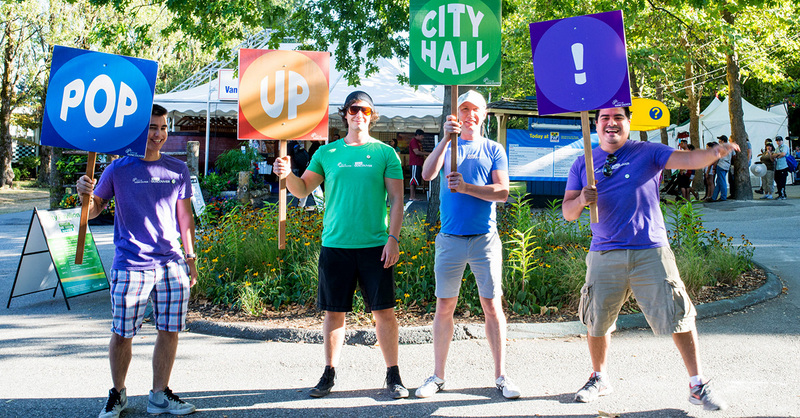 There are a number of initiatives that take City Hall on the road, including Pop-Up City Hall. Spot the team at upcoming community events and gatherings where they’ll be ready to share information about the city, help you make service requests, provide you with bike and park maps, and receive your feedback on consultation topics. You may also want to swing by CityLab (511 W Broadway) every now and then to check for ongoing consultations, displays and activations. It may sound like an obvious one, but voting is one of the most direct ways you can impact the shaping of your city. 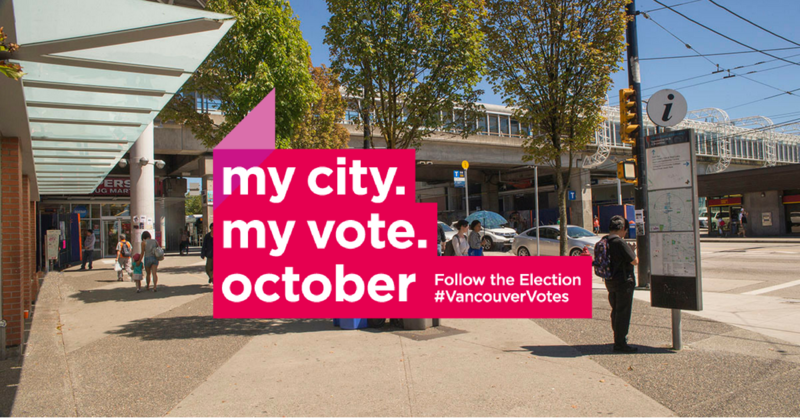 Voter turnout to the 2014 municipal election in Vancouver was 43% with a goal of reaching at least 60% by 2025. Find out if you qualify to vote in the election on October 20, 2018 and put it in your calendar! Want to build a giant chess board in your neighbourhood? Have a spot in mind for a beautiful and sustainable bee garden? Apply for funding through the City’s Neighbourhood Matching Fund, Greenest City Neighbourhood Small Grants or other grant programs. No need to be an official organization – there are opportunities for a variety of group types. Agencies, boards and committees bring together members of the community to advise the Mayor, Councillors and other City staff. 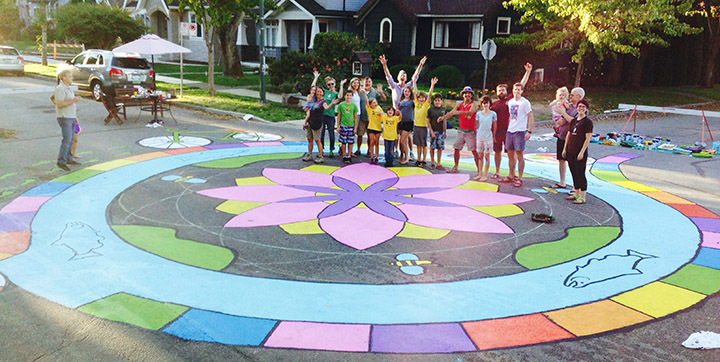 These groups “focus on a particular topic that has an impact on the City of Vancouver and its people,” such as the Mayor’s Engaged City Task Force, Public Art Committee, Civic Asset Naming Committee and many others. Vacancies and time commitments vary – learn more here. There are a number of ways to engage with these meetings: watch a live broadcast online or on Shaw channel 4 Tuesdays and Saturday, attend in person at Vancouver City Hall, or register to speak about an agenda item. City Council also hosts a number of other meetings, including public hearings and Special Council meetings. Make it to the end? Well, this list is just the beginning! 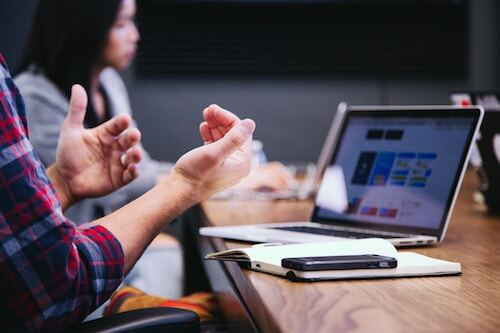 There are countless ways to engage with your local municipality and community, all of which will help expand your knowledge and understanding of what makes a city tick and the best ways to build the city we want to live in. For more opportunities to get involved, check out the City of Vancouver’s Citizen Involvement page.